Go to Settings - Bank Accounts, and click on Add bank account. Select your bank from the drop-down list and complete the required fields. Click Set up instant Yodlee bank feed. Go to Settings - Bank Accounts and select an existing bank account. 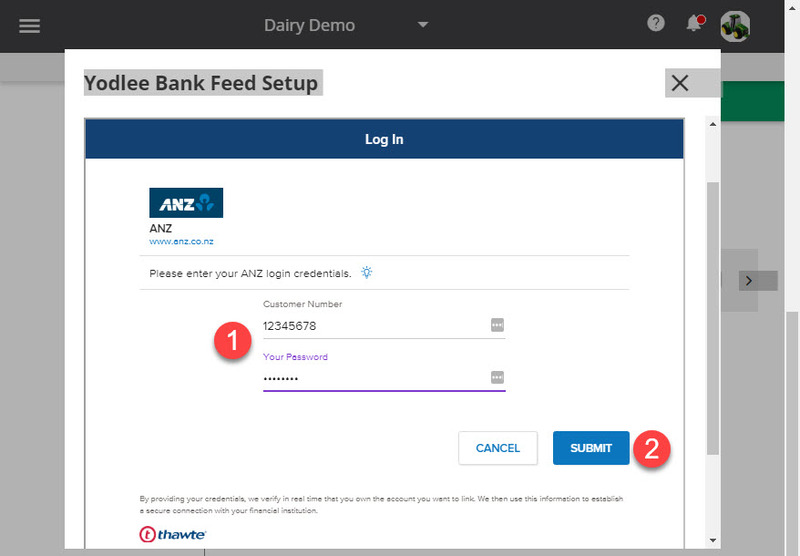 Scroll down to Yodlee bank feed and select Set up instant Yodlee bank feed. Enter your online banking login credentials. Yodlee will display a list of all bank accounts linked to your banking customer number. You'll need to link your bank account to the correct account in Cash Manager Focus. Click Close to take you back to Bank Account Details in Cash Manager Focus. Select the bank account you want to link with your Focus account. Enter the transaction start date that you want Yodlee to bring transactions from. Yodlee can provide up to 90 days of historical transactions based on the opening balance date. 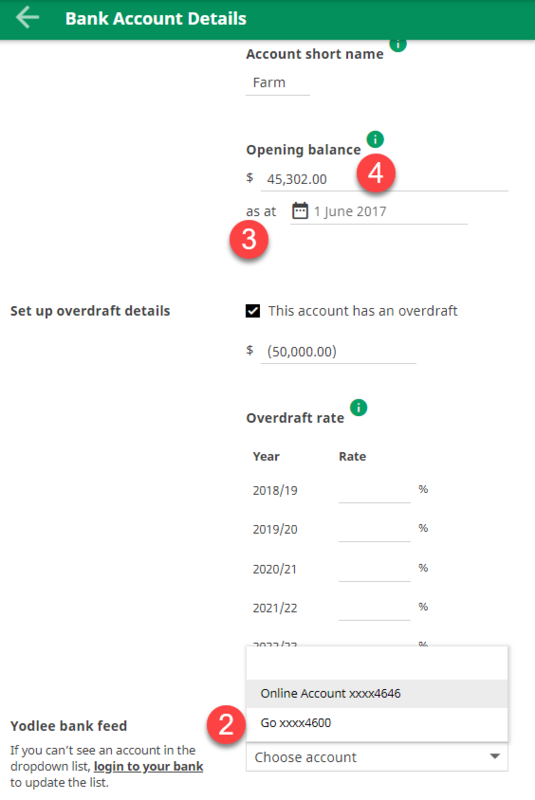 Confirm the opening bank balance based on the start date you selected above. TIP: If you want to bring transactions in that are older than 90 days, you can manually import a bank transaction file from your bank. IMPORTANT: If you do manually import bank transactions that are older than 90 days, make sure the opening balance date and opening bank balance reflect the transaction and balance information from the manual file. 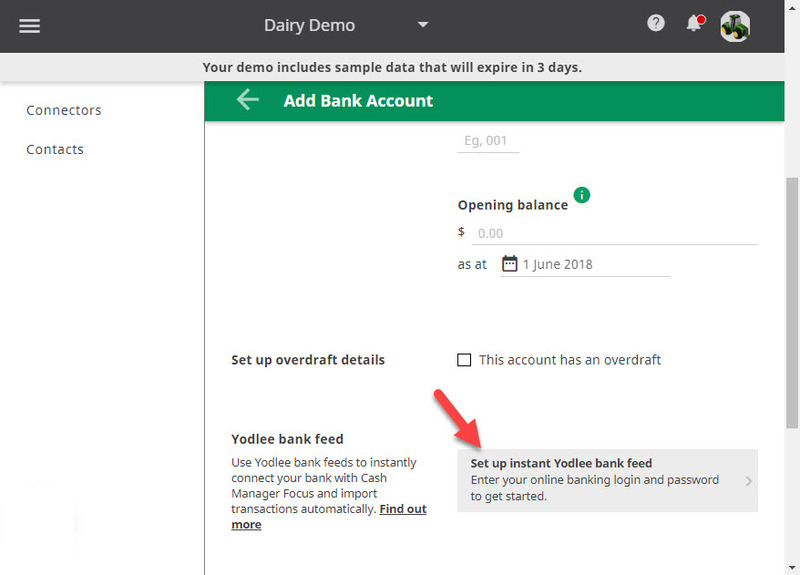 Yodlee doesn't capture you bank account number in Cash Manager Focus. So if you generate tax invoices for goods and services supplied, you'll need to record the account number in the bank account settings, so that it appears on your tax invoices.